Free Flowing Patchwork Window, Cheshire. I have just completed this lovely patchwork panel for a customer in Cheshire. I have used a really glorious mixture of glasses and had such fun making this! Some are obscured, some opal and lots of streakies making this a really rich panel. The leads are of varied widths to add interest and create depth. The window is set in a wall in the customer’s living room which has a view of their neighbours path. 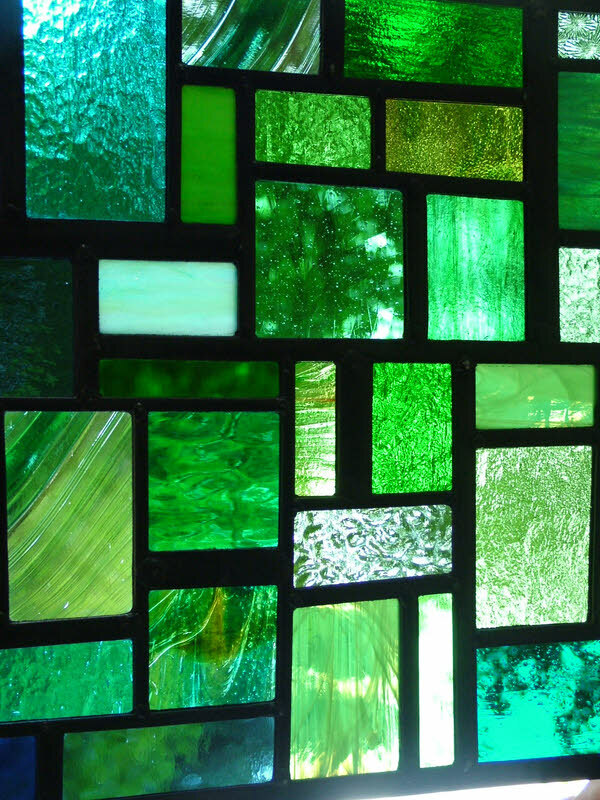 The obscuration and interest within the window will afford them the privacy they need coupled with the beauty of an original piece of glass art work.